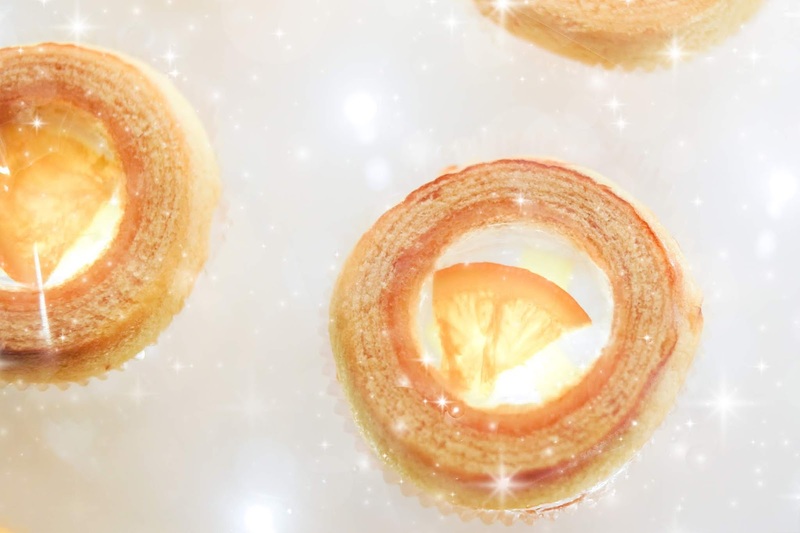 Who knew Baumkuchen can look so pretty?! If you haven't heard of Baumkuchen, it's basically a kind of cake that's famous in Japan! 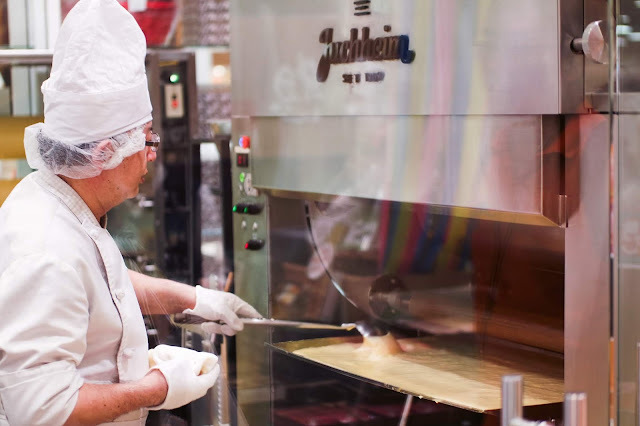 What you probably didn't know is that Baumkuchen is actually a traditional German cake and was brought to Japan by a German couple, Karl and Elise Juchheim back in the 1900s! 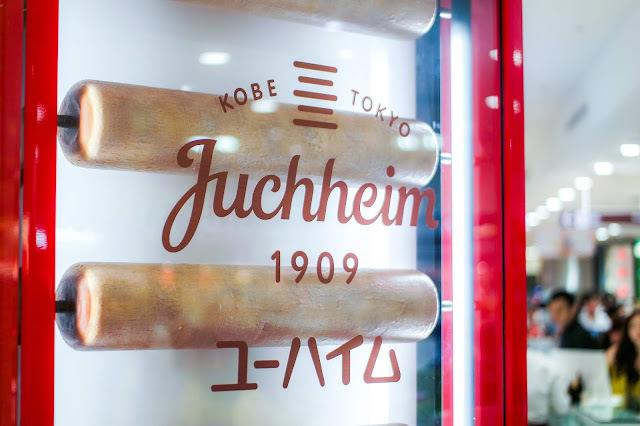 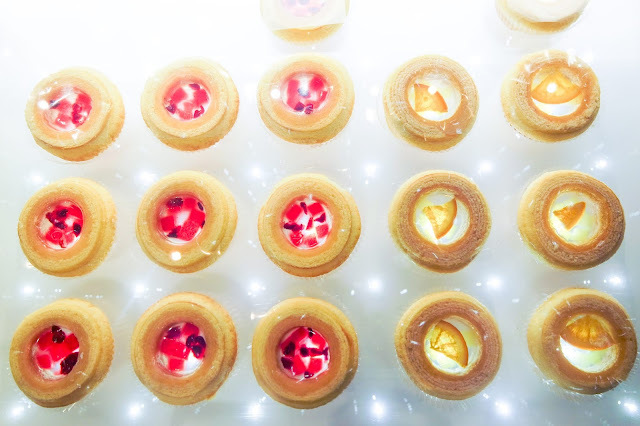 Fast forward to today, Juchheim is now an established confectionery brand that sells quality & delectable Baumkuchen, biscuits and more & they've recently launched some really unique cakes! 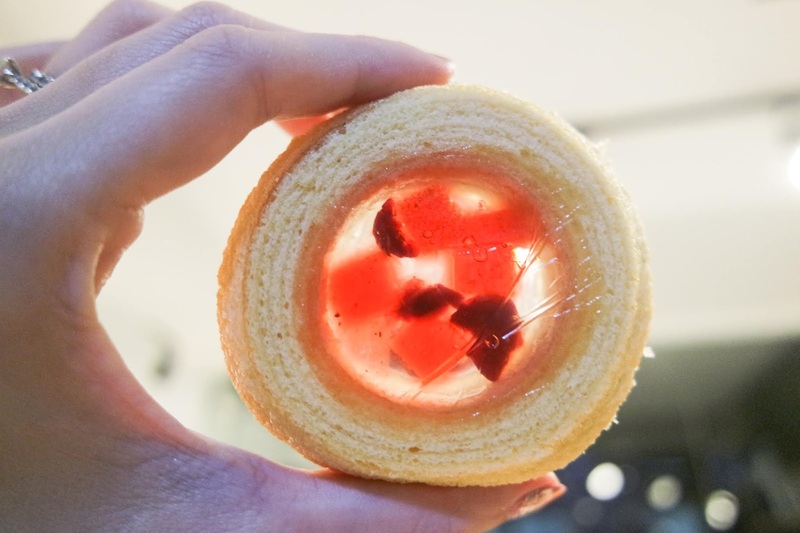 I paid a visit to their store at Takashimaya during their launch to check out some of the products they were selling and I couldn't help but notice how pretty some of the Baumkuchen are! 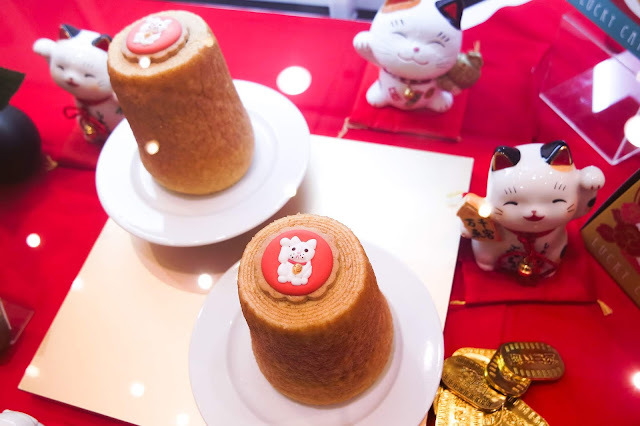 To be honest, I even questioned if the Baumkuchen on display was actually edible (they are)! 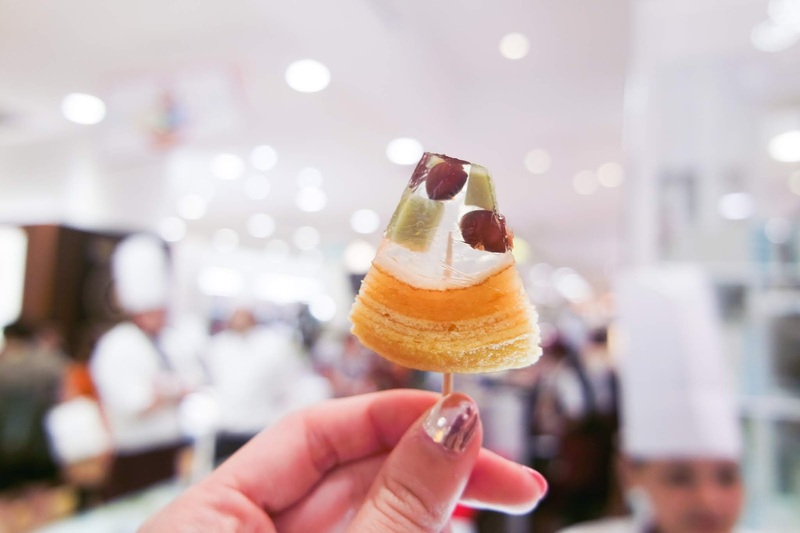 The pretty confectionery that you see above is called Jewellery Baum, a kind of Baumkuchen created by Juchheim that fuses Baumkuchen and vegetable gelatin (or agar agar as we know it) topped with dried fruits and matcha/coffee jelly cubes to get this pretty delicacy you see here! 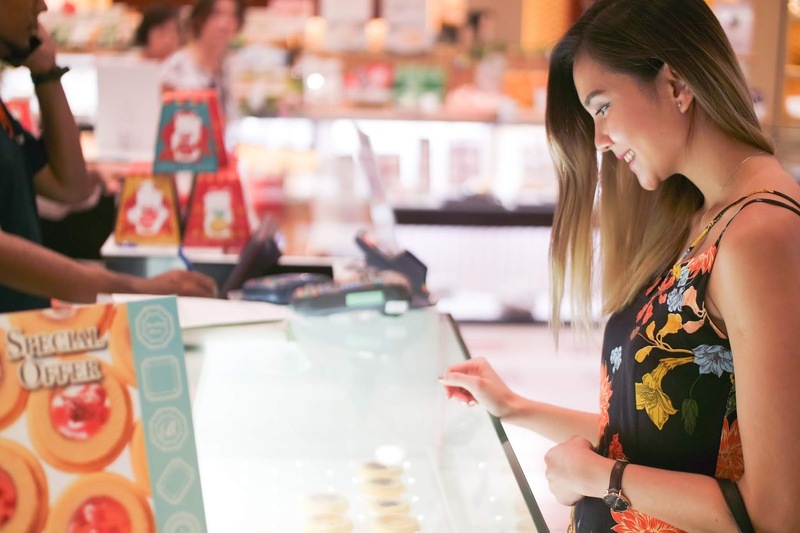 Their Jewellery Baum comes in five different flavours, Berries, Mango, Orange, Matcha and Coffee and it’s only $3 for one! 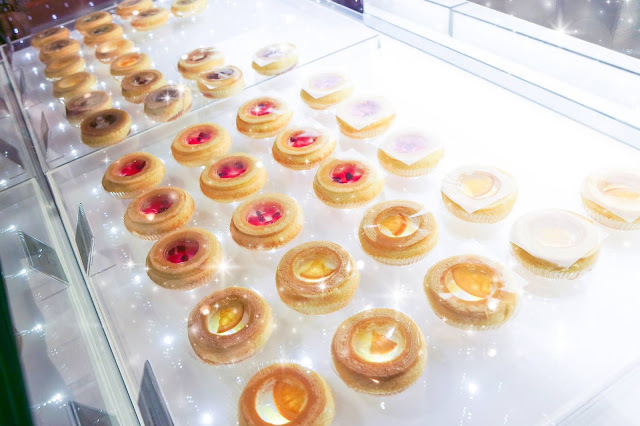 It looks a lot like egg tarts but the taste is completely unique. 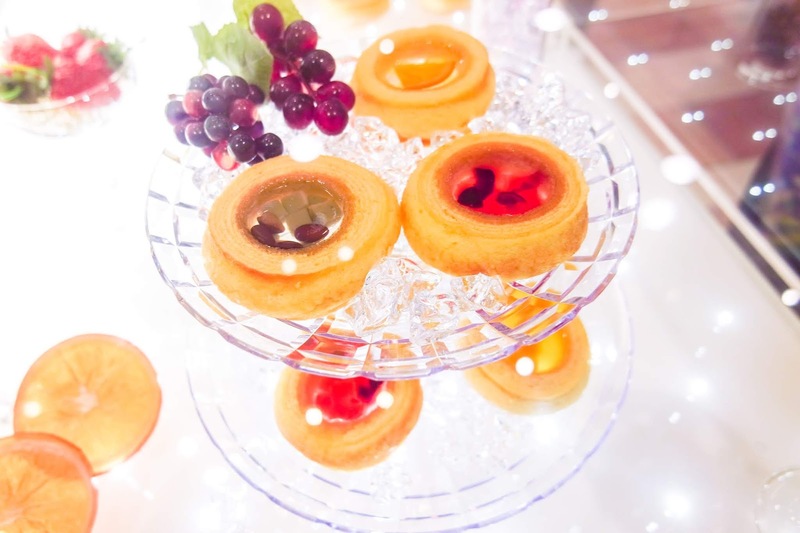 The softness of the cake paired with the jelly makes a refreshing combination! 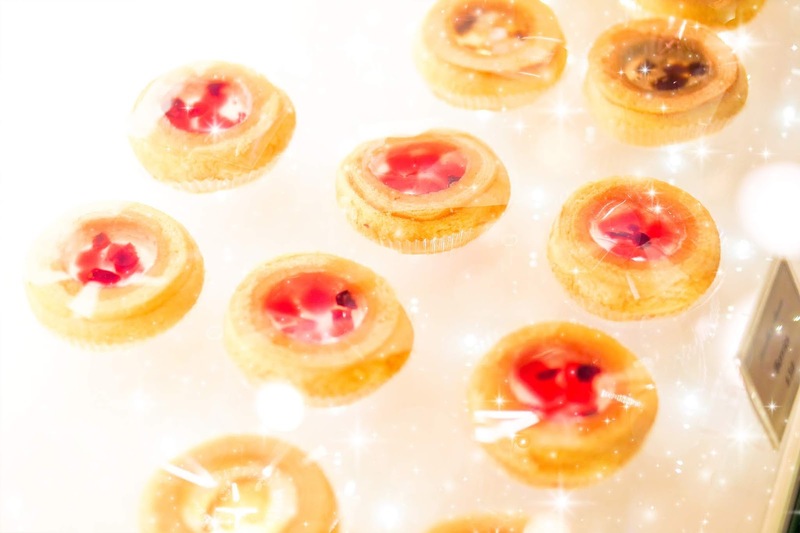 My personal favourite is the berries one cause it goes really well with the sweet cake! Kind of like strawberry jam and cake! 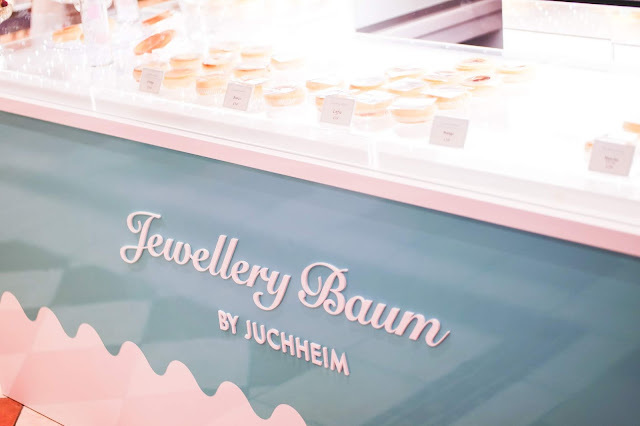 Aside from the Jewellery Baum, another that caught my attention was their adorable Manekineko or Lucky Cat Baum! 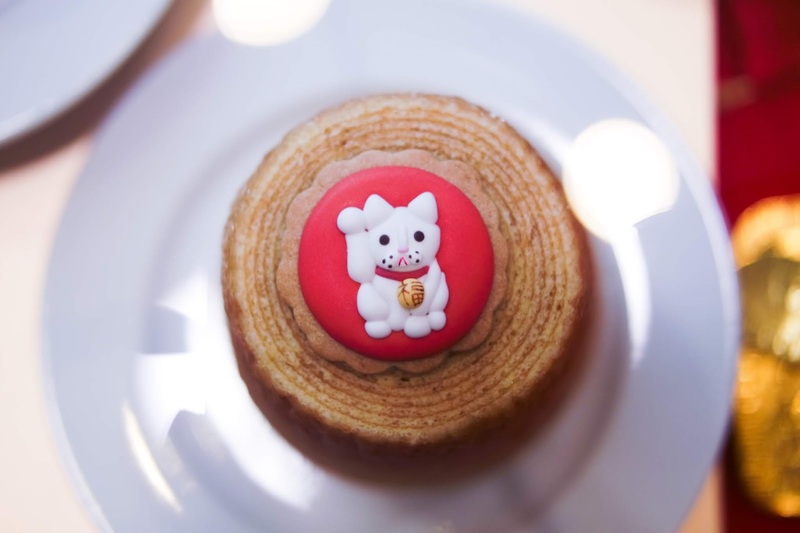 In German Tradition, the Baumkuchen is a symbol of happiness, prosperity and longevity because of the resemblance it has to tree rings. It even comes with an adorable packaging with printings on the inside wishing the recipient happiness and longevity! 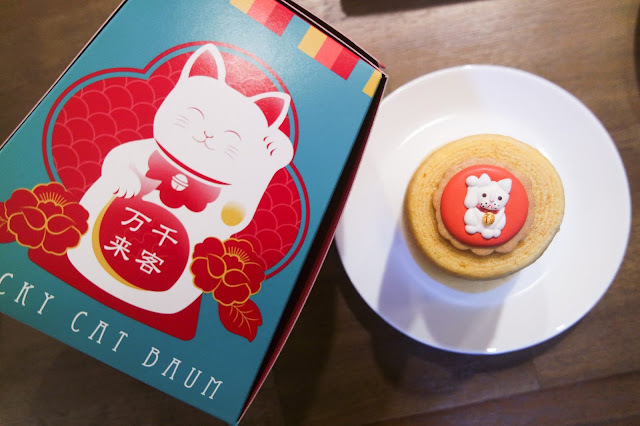 Shane loved the Lucky Cat Baum cause of it's extremely soft and moist texture. And to be honest, even I quite like it - coming from someone who doesn't fancy cakes! 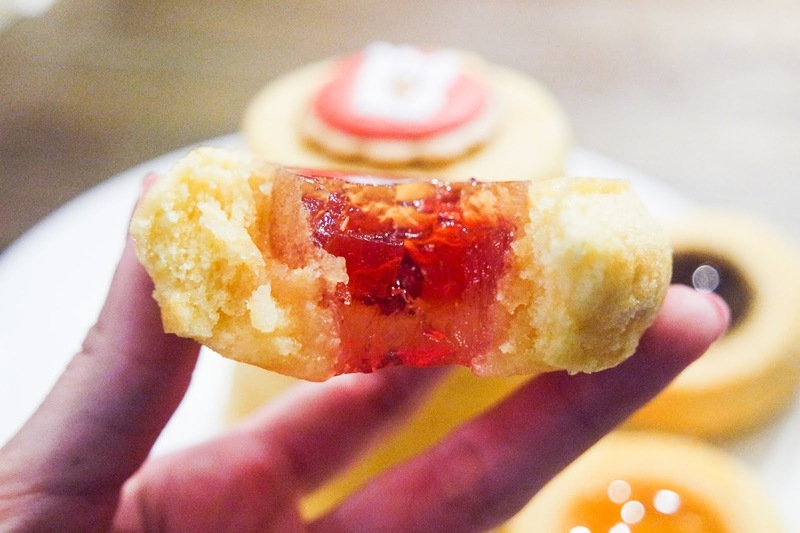 It's not like your typical sponge cake, it has a denser texture and it's made layer by layer much like Kueh Lapis but better cause they don't use oil at all! 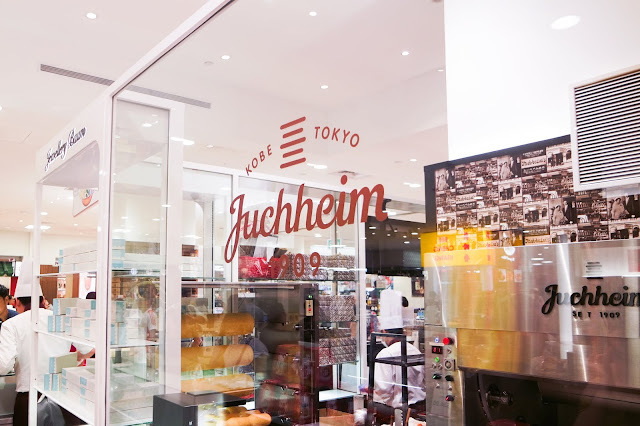 If you're intending to try their Baumkuchen yourself, you can head on down to the Takashimaya Food Hall! 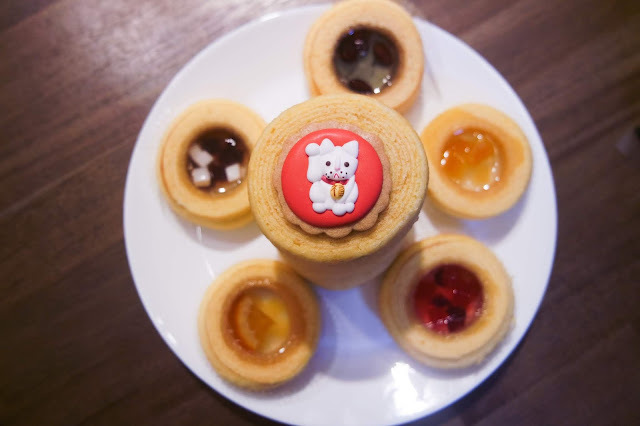 I must say, their chocolate coated Baumkuchen and biscuits all look so damn good too!